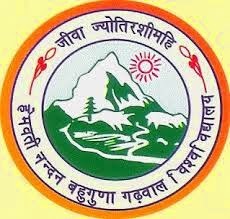 Sridev Suman University Main Examination Date Sheet Latest Notification 2014:- The Sridev Suman University is now become a main University of Uttarakhand Garhwal Region, because the university is conducting the main courses examination in private stream. So as per the information it is notified that the examination of various PG and UG courses for current year 2014 will be starts from May 2nd week, but the final dates are not confirmed yet. And now we can say that the date sheet will be announce soon. Kumaon University MA Mathematics Exams 2014 Date Sheet:- The Kumaon University is a famous university of Uttarakhand, and every year many of students are studied from their. The University main campus is situated in the Lake city Nainital. So as of now the Kumaon University has announced the Date sheet or Time Table of the MA (Master of Arts) Mathematics Precious and Final Year Main Examinations 2014. Therefore, now all the students of MA Mathematics of the both years can check their date sheet online. Kumaon University BA, B.Com, B.Sc Examination 2014 Date Sheet:- The Kumaon University has recently uploaded the Date sheet or Exams Scheme 2014 of the BA (Bachelor of Arts), B.Com (Bachelor of Commerce) and B.Sc (Bachelor of Science) all year’s courses. And the date sheet is available in the official website of Kumaon University. So now all the students of Bachelor’s Degree of the Kumaon University can easily check their examination dates online. Kumaon University M.Com 1st & 2nd Year Private Date Sheet 2014:- The Kumaon University is one of the famous universities of Uttarakhand, and there are many of collages in the Kumaon Region are affiliated by the Kumaon University. The Kumaon University Campus is situated in the Nainital. As of now the Kumaon University has announced and published the date sheet or scheme of the M.Com (Master of Commerce) 1st and 2nd Year Private Exams 2014. And the Date Sheets are available in the official website of Kumaon University. HNB Garhwal University BA, B.Com, B.Sc, MA, M.Com & M.Sc Exams Date sheet 2014: -The Hemwanti Nandan Bahuguna Garhwal University has recently announced the examination date sheet of the main examination 2013-14. The Courses are BA (Bachelor of Arts), B.Com (Bachelor of Commerce), B.Sc (Bachelor of Science), MA (Master of Arts), M.Com (Master of Commerce), M.Sc (Master of Science). So as of now all the students of given courses examination can easily check their exams date sheet online. The date sheet of given exams are available in the official website of HNB Garhwal University.